And I'll have a go at anything else that's not on the list! Faces are reproduced in house to original artwork and Pantone colour numbers, and we have also produced custom faces for those who want something different. I really do like to say YES! 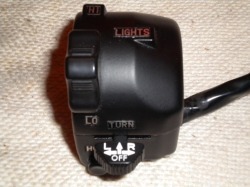 Most of the three-wire electro-magnetic types handled, but not the fully digital post 2000 units. 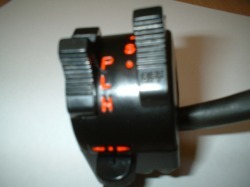 He also states “As with the mechanical, magnetic instruments in common useage during the 50’s, 60’s, and 70’s, which we upgrade with phosphor-bronze bushes and an improved inertia damper fluid, the ELECTRONIC instrumentation is also upgraded with superior, modern components which are far better suited to their application. On parle Francais, nous acceptons egalement les paiements en Euros, et nous avons de nombreux clients en France aussi! This clock unit received a full internal overhaul with new bushes custom made from Colsibro, a modern type of phosphor-bronze. The internal inertia damper was opened, cleaned out and refilled to restore its smooth action. 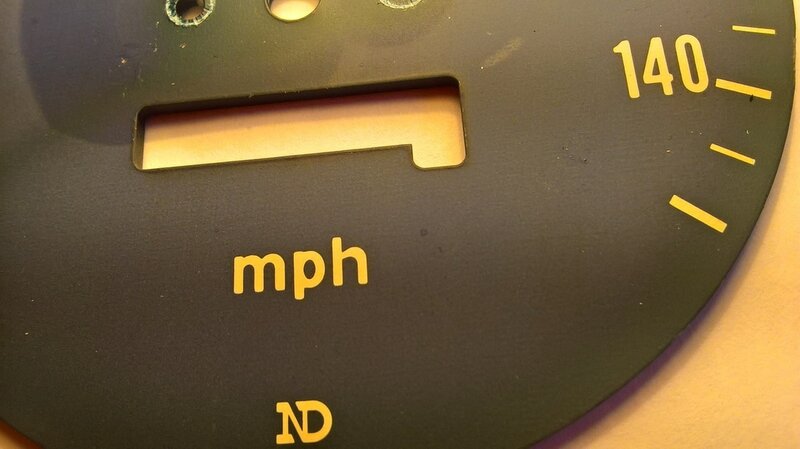 In addition, one of our brand new outer cases was fitted, along with a new dial face. When the rebuild was complete, the unit was sealed with one of our custom made aluminium sealing bands. 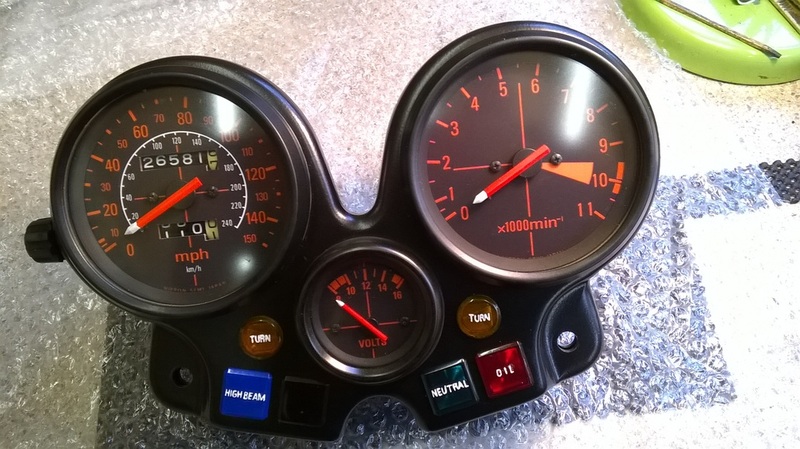 Restored clock binnacle from Yamaha RD400 - back to "as new"! Yamaha XS - the bike the British industry SHOULD have built!! Ducati Monster RECONDITIONED TOP, WITH NEW BEZELS AND GLASS LENSES!! Suzuki GT380 GT550 yowling stroker triples! More Sounds of The 70's! 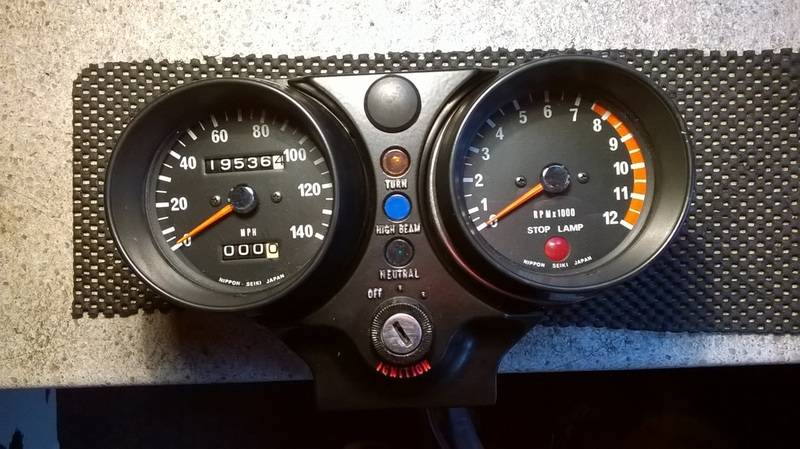 A bespoke speedo for a French Suzuki GSXR. Pas mal, eh! Suzuki TS 250 ER, above. A NOTE! These Honda CB750 green faces fade to a lovely Royal blue, and occasionally some customers think I am wrong in fitting green ones. In this image of a faded one, you can just see round the edge, where the sunlight doesn't reach, the original green colour. 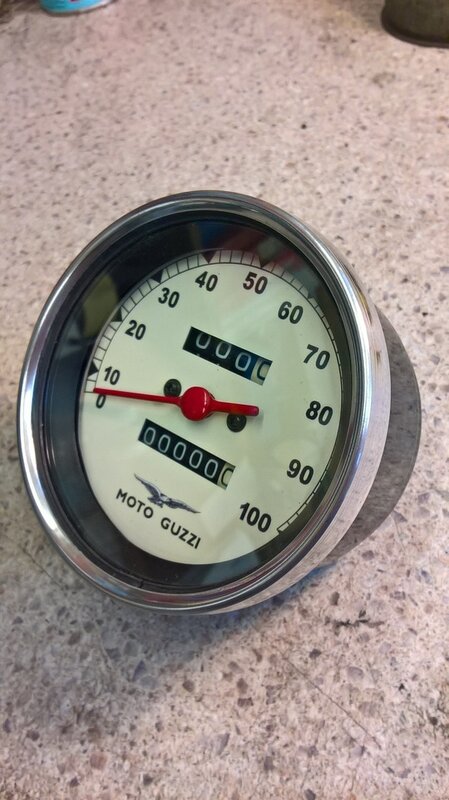 Moto Guzzi Veglia clocks. Cleaner than they ever were new! And working smoothly after a rework. YES!! 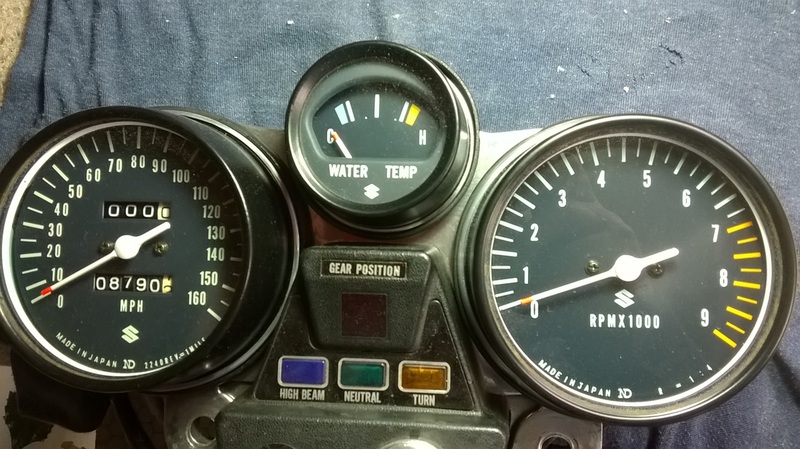 THE LAVERDA JOTA CLOCKS ABOVE ARE THE SAME AS THOSE BELOW!! Sometimes people are just mean. 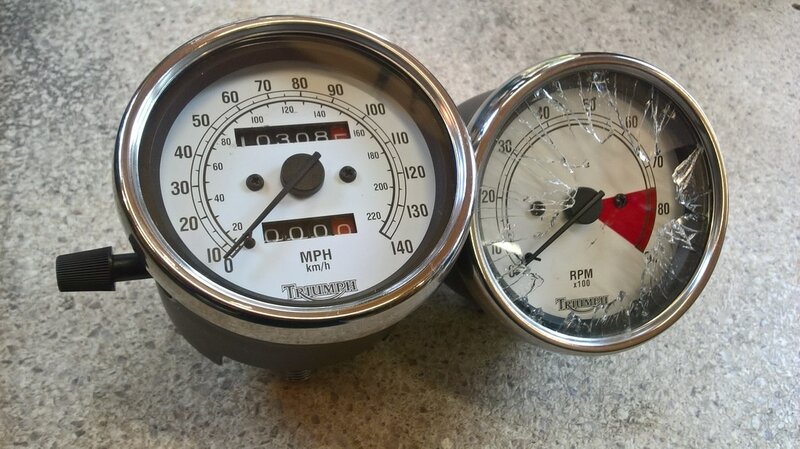 Vandalism, repaired on the speedo, with the tacho to do next. I like an oddity! 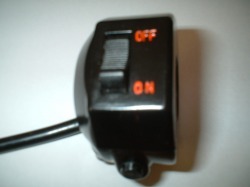 Revcounter from a Tohatsu motorcycle, made by Fuji Denki Yes, Tohatsu. Now go and Google it! Smiths 60mm fitted to many lightweight bikes of the 60's. 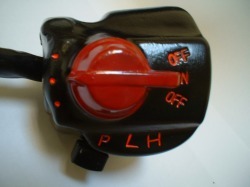 Yamaha RD400 right hand switch unit, restored and ready to fit. Cleaned, repainted, refurbished internally, re-engraved. Fit and forget! 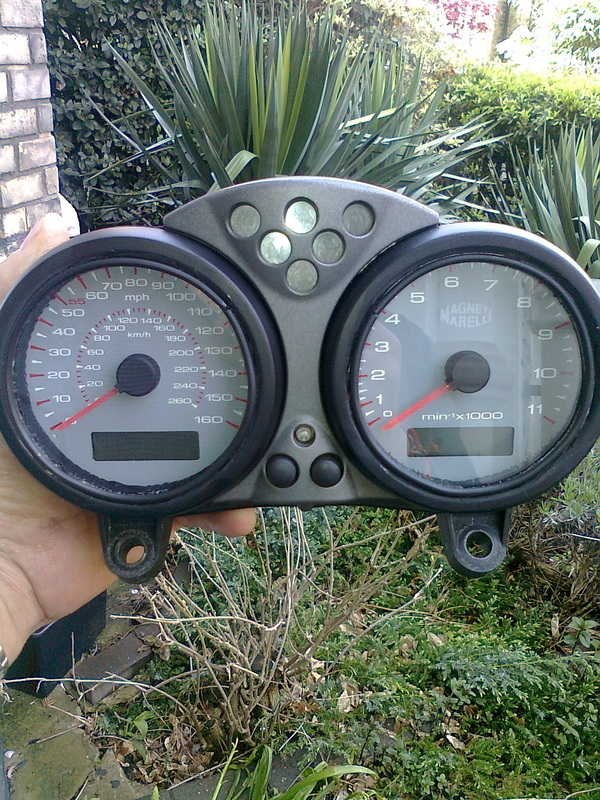 This averages £190 sterling for a complete overhaul of a speedometer or revcounter, (£250 for electronic units). 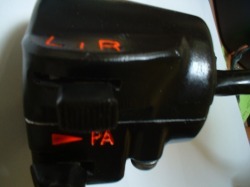 The switch units are also £190 each, and we can accept payment in EUROS too. This really is a huge list, and growing every day! And it's not just classic machines - most modern bikes with cable driven mechanisms OR electronic can be catered for. 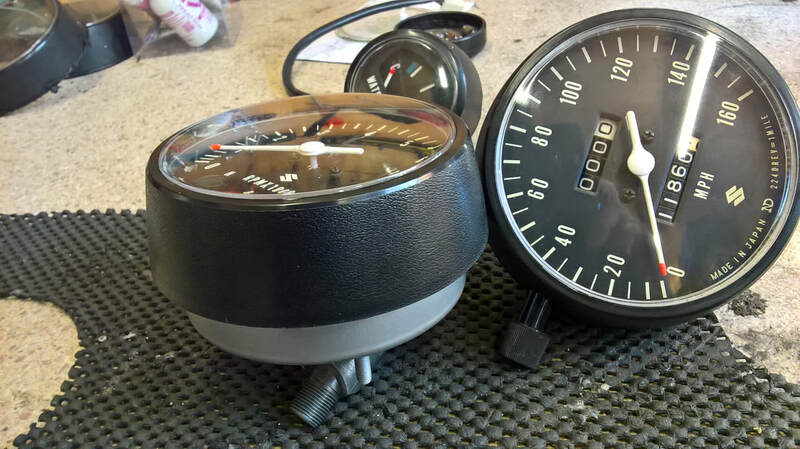 Not only do we fully renovate and repair the Nippon Denso units pictured above which were fitted to Honda, Laverda, Ducati and more, but we have also restored clocks made by Veglia, Veigel, VDO, Motometer, Autometer, Nippon Seiki, Smiths, Jaeger, Motoplat, Krober - and probably others that I've forgotten! 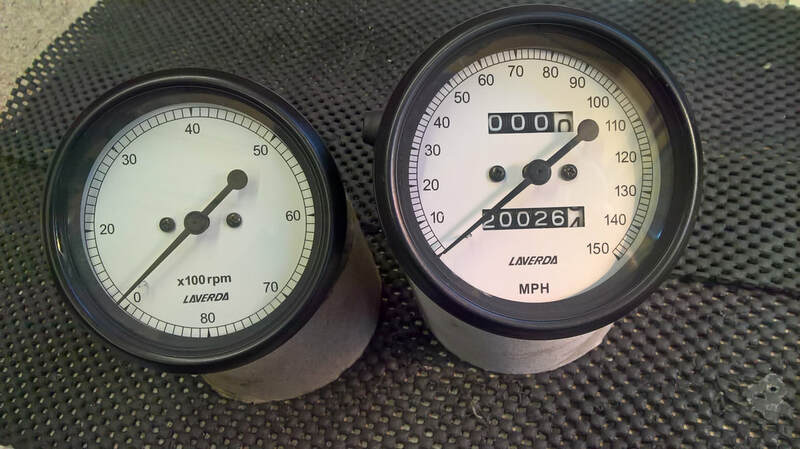 I have this morning received the gauges you have restored for my Kettle and have just unwrapped them. I am amazed at how good they look. I was expecting them to look pretty decent but I am astounded at what a superb job you have done on them as they far exceed that expectation. The down side is, I now have to do the rest of the bike to that standard. Tall order for my skills but the inspiration is now there. Thank you for such an excellent job. Worth every penny. 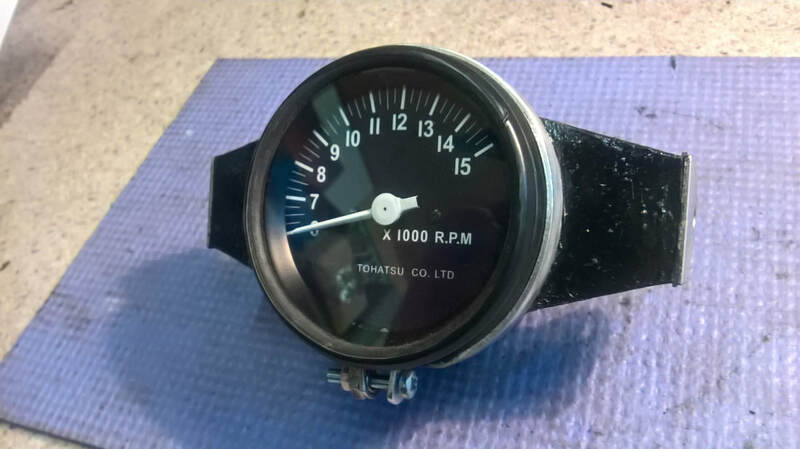 I am e-mailing you to let you know that the repaired tachometer has arrived safe and sound and I can’t wait to refit it to the R90S. Thank you for doing such an excellent job. 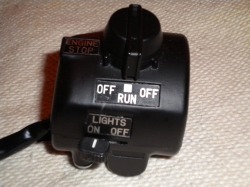 Just I quick note to thank you for your excellent work on my clocks and switch gear. 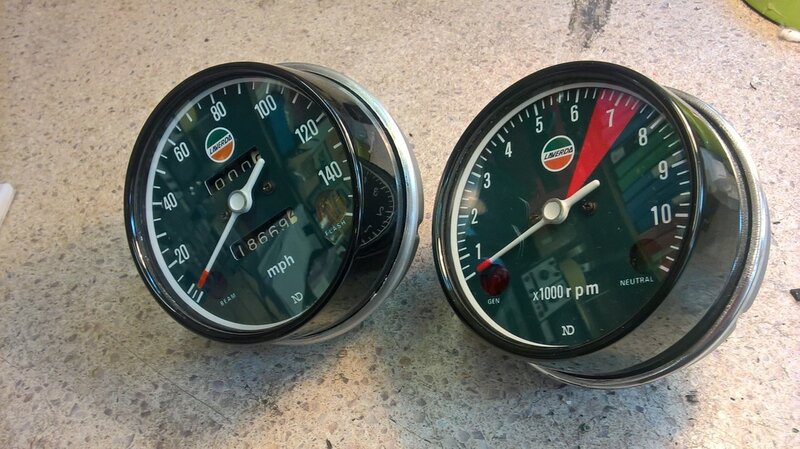 Just a quick line to confirm receipt of my refurbished Laverda clocks and switchgear. 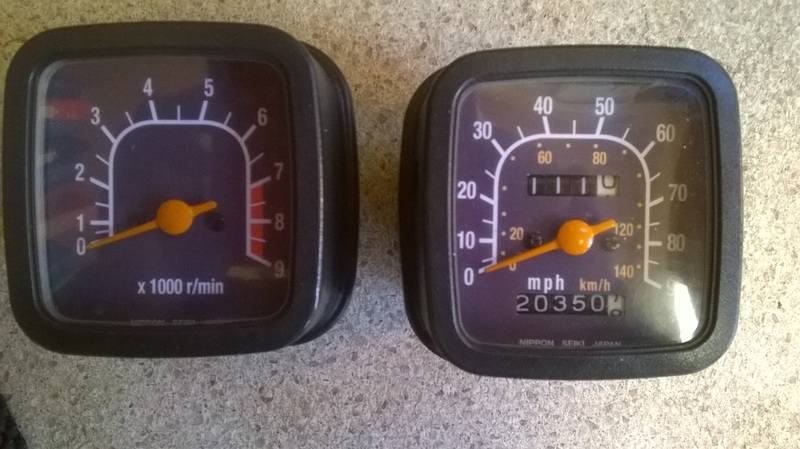 They look as you promised, like new, completely belying their 35 year age. When restoring motorcycles it's always the detail work that makes the difference between decent and great. Your work will certainly make that difference, and I heartily recommend your services to anyone considering a rebuild and will do so to my friends and indeed anyone who is rebuilding their own machine. Pete, many thanks. Be assured your work is, and will continue to be appreciated. Please feel free to use my comments as a reference for your work. 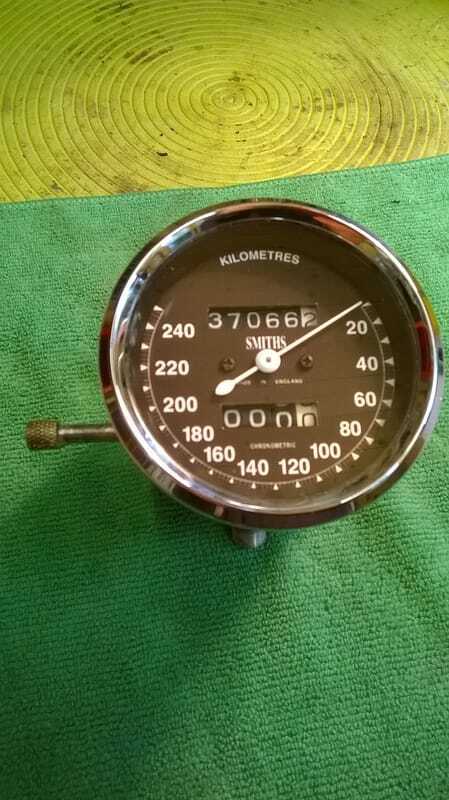 Peter Just to let you know the refurbished speedometer has arrived safe and sound. I have to put down in words how pleased I am with your workmanship. 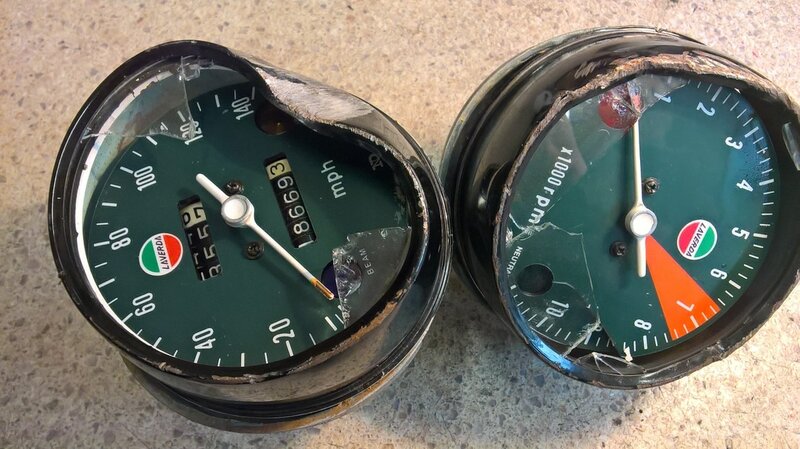 You have turned what was a aged speedometer with numerous faults into what can only be described as a work of art. 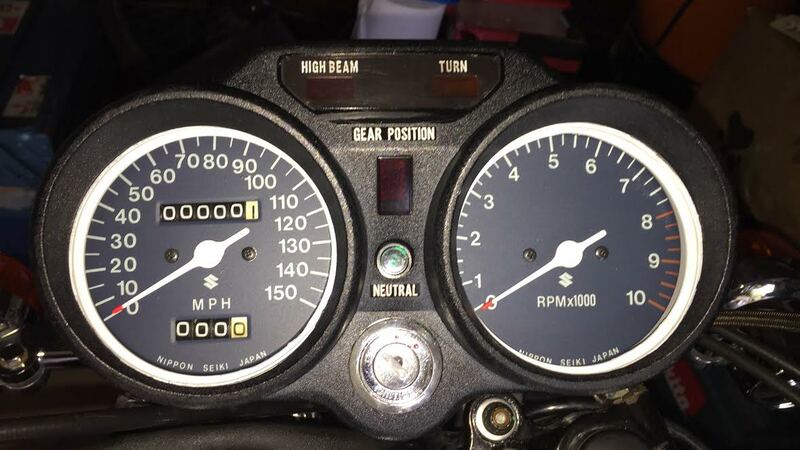 You would think I had stepped back in time to 1974 and purchased a new speedometer....It will be the crowning glory to a beloved Gilera restoration. My wife picked them up from the P.O. yesterday. They look bloody nice! When I get a panel made up and mounted I'll send you a photo. Katana clocks arrived yesterday. They look fantastic, white pointers look good, a vast improvement from the faded broken ones. The black trim around them also looks better than the original silver. Thanks again, I may send the switchgear at a later date if that isn't a problem? 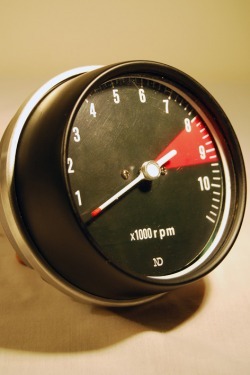 The YDS2R clock is stunning! Many thanks for your superb work. I saw a Jota at Box Hill recently and his clocks had been done by you. They looked superb. Please call, write or email with any questions you may have.